When it comes to buying clothes for a new baby there is a wide selection available on the market, however when it comes to buying clothes for premature babies they require more specialised clothing and accessories, so you may need to look further than your high street baby store. The economic meltdown of 2007 shook the financial world and recently the media has been bombarding us with the phrase “credit crunch”. The news is full of budget deficits and the need for cuts, local councils are walking a tight rope whilst trying to maintain public services and simultaneously reduce their spending. During and after the Second World War rationing was the norm of everyday life, adults were rationed to a fixed number of clothing coupons per year, each item of clothing had a coupon value and the government fixed the price of clothing. The motto in those days was “make do and mend”. If the crisis’s continues we may see a return of government ads such as those that encouraged housewives to be inventive in their cooking. Lord Woolton the Minister of Food at the time urged people to use more vegetables, particularly potatoes. He even had a meatless recipe named after him, called the Woolton Pie. Maybe we will see the birth of government websites advising the general public on how to feed a family on a limited budget, or how to make / alter clothing etc. There does appear to be a rise in the craft movement, local colleges now offer knitting, sewing and crochet classes. There also appears to be a rise in sales of cheaper cuts of meat such as brisket as families struggle to make their money go further. When it comes to clothing babies and young children there is no doubt that more often than not they outgrow their clothing long before they are worn out. This leaves the family with several options. Utilise the fabric to make a babies memory patchwork quilt. Now might be a good time to take up a new hobby, invest in a new skill by joining a local craft class, you never know when your new found skill might come in handy. Newborn babies have remarkably sharp nails and often scratch themselves when they inadvertently pull at their face, unfortunately babies often draw blood and although very little blood is drawn it is very distressing for parents to see their baby covered in scratches. Many parents will often use ant scratch mittens to try and prevent their baby from scratching their face, however some babies just don’t seem able to keep mittens on their tiny hands and will often scratch their face during sleep. The best option for babies who regularly scratch themselves is to opt for a long sleeve vest with built in anti scratch mittens. The fact that the mittens are attached to the vest means unlike ordinary mittens they won’t fall off, thereby protecting baby from scratching themselves and reassuring parents that their baby won’t be able to injure themselves during their sleep. A pack of 2 newborn baby wrap over style vests with long sleeves and fold back scratch mittens, is available via our on line store. These vests are also perfect for babies that do not like clothing pulled over their head. Clicking on the above image will take you direct to the newborn baby wrap over vests page where you can read the product description and / or place an order. Saint Andrew is the Patron Saint of Scotland and today St. Andrew’s Day will be celebrated by Scots all around the world. The Scottish flag is the Cross of St. Andrew. St. Andrew is believed to have been a fisherman in Galilee along with his elder brother Simon Peter (Saint Peter). Both became apostles of Jesus Christ. St. Andrew is said to have been responsible for spreading the belief of the Christian religion though Asia Minor and Greece. Tradition suggests that the Romans in Patras, Southern Greece put St. Andrew to death by crucifixion. The diagonal shape of this cross is said to be the basis for the Cross of St. Andrew, which appears on the Scottish Flag. In the town of St Andrews there is a week long festival of arts and activities and since November 30th 1996, when the Stone of Destiny was returned to Scotland and housed in Edinburgh Castle it has been decreed that the Castle shall be open with free entry on every St Andrew’s Day to allow the people of Scotland to view the fabled Stone. For a baby born on St Andrew’s day what could be more appropriate than a cute sleepsuit or bodysuit depicting a baby holding the flag of Scotland. It’s just got a whole lot easier to shop on line for premature baby clothes and accessories. Prem2Pram the on line premature baby store stocks everything you will need for baby whilst he or she is in the neonatal intensive care unit and for when baby finally comes home. 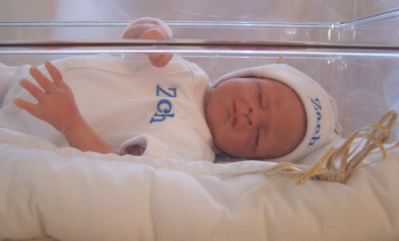 NICU safe premature baby sleepsuits, personalised incubator hats, Dr Brown’s preemie feeding bottles and teats, premature baby dummies by Gum Drop and NICU dummies suitable for babies on CPAP machines. Hospital laundry bags to ensure baby’s clothes don’t get lost or mixed up with the hospital laundry. For the more patriotic we have a selection of baby sleepsuits and vests embellished with a baby holding a flag for either England, Scotland, Wales or Ireland and our home grown in Britain babygro’s come embellished with a baby waving the Union Jack. Our hand knitted premature baby cardigans are seamless for added comfort and come in a variety of colours and styles. Baby feeding wheels make the ideal gift for sleep deprive parents; never again will you forget the time of your baby’s last feed. Craftsmanship is alive and well and I’m really pleased to be able to showcase a small selection of products produced by some very talented artisans. These gorgeous pale pink hand crocheted baby booties by NOfkantsCurios make the ideal gift for a newborn baby girl. Hand made nappy and gift box to celebrate the birth of a baby girl by cutiecupid. The nappy is made from card and white towelling, and complete with a pink safety pin. Hand knitted baby raglan by Worldknits made from an acrylic-merino wool blend, perfect for baby during the cooler months. This sweet pink baby bandanna bib by Prem2Pram with its delicate white butterfly print comes in sizes premature baby, early baby and newborn baby. Visit Prem2Pram’s on line shop to see their full range of neonatal, premature, newborn baby clothes and accessories.